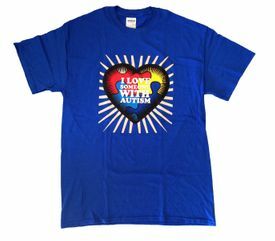 I Love Someone With Autism Blue T-Shirt. 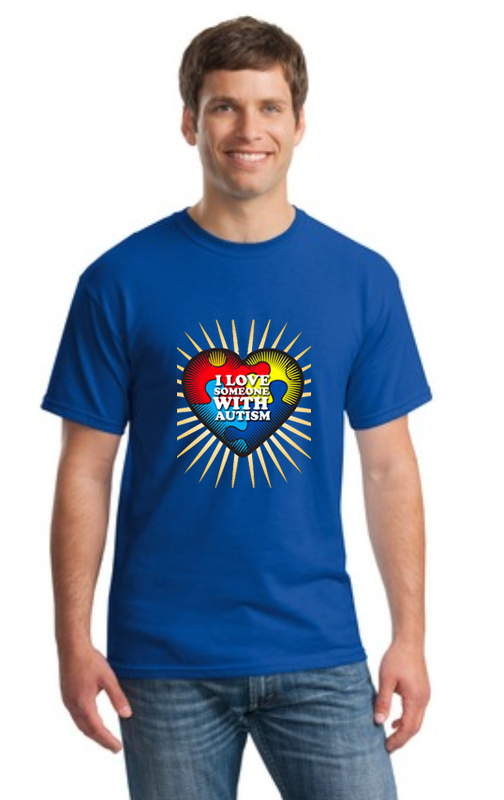 These are a great way for your whole family to show their support - also awesome for fundraising teams. This autism t-shirt is our own unique design and is made of Hanes Heavyweight 100% preshrunk cotton. The shirts are unisex and come in three sizes.